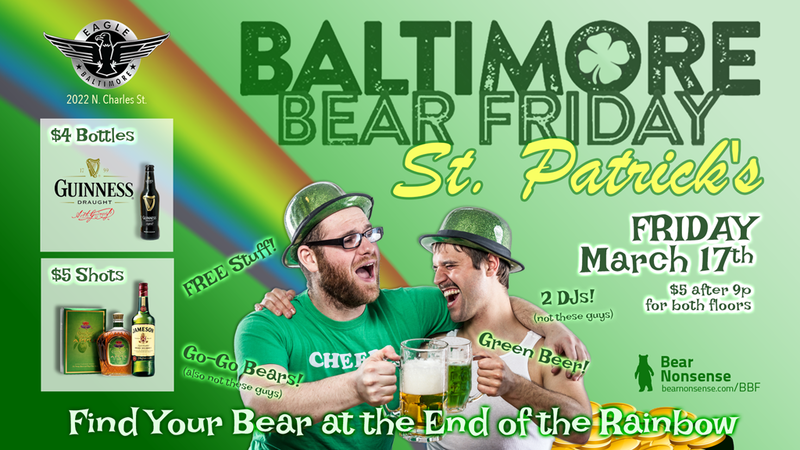 YOU make it “Baltimore BEAR Friday.” Fill the new Baltimore Eagle with BEARS for a furry St. Pat’s celebration. Bear, Otter, and Cub and Chub go-go dancers. More surprises.